Today I want to talk to you about one of my favorite dilemmas in all of biology. It’s something that most people might assume has been sorted out a long time ago; something that much of a biologist’s work is focused on. I’m talking about the biological species concept. In other words: how do we define what makes a species? I know what you’re thinking, “how can you not know what makes a species? Haven’t scientists identified millions of them already?” The answer is yes, yes we have. You see, it’s not that we don’t know one species from another; it’s that we don’t have a clear and consistent definition of what constitutes a species. It’s more of a “you’ll know it when you see it” kind of thing. Over decades and centuries, taxonomists, naturalists, and biologists have devised several ways of separating one species from another. Back when all of science fell under the umbrella of natural philosophy, organisms were classified based solely on morphological characteristics - that is to say based on their physical appearances. Bones were compared, ratios of limbs and bodies were measured, colors and patterns recorded, and geographical locations were noted. Seems like a logical way to name a species, right? Well it turns out that life is just not that simple. Can you tell these two apart? The ivory billed woodpecker is on the left, and the pileated one is on the right. Image sources: aymon, wikimedia commons. The first problem with using only morphology is that there can be a lot of species that appear very similar but are actually completely different. This caused a great deal of confusion not too long ago when a group of researchers announced that they had found an ivory billed woodpecker (Campephilus principalis), which had been declared extinct (Fitzpatrick et al. 2005). National news reports relayed the event, and federal funding was even diverted to preserve the bird’s habitat. 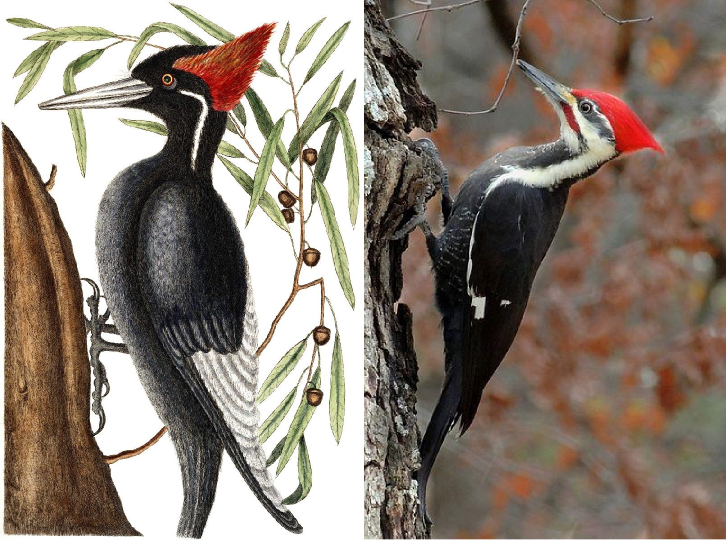 Other researchers disputed the finding, and now it seems that reports were likely of the very similar-looking pileated woodpecker (Dryocopus pileatus), which is rather abundant in North America (Collinson 2007). Ferocious wolves, every last one of them. Especially the bottom left. Image source: wikimedia commons. The other problem with morphological identifications is that there can be a lot of variation within one species. My favorite example is the grey wolf Canis lupus. There are 39 recognized subspecies of C. lupus, but the one that I want to highlight is Canis lupus ssp. familiaris. You may know it by its common name: dog. 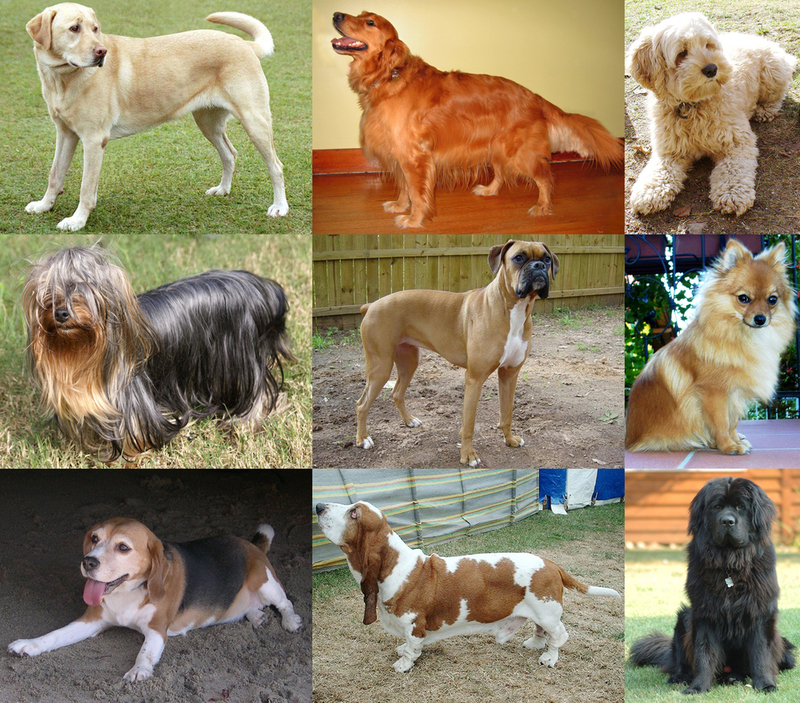 You have everything from toy poodles to mastiffs in that one subspecies. Oh, and remember Claire’s post about the Brassica family? Broccoli, cauliflower, and kale are all the same species. Clearly simple morphology isn’t enough to make the distinction. Another way to distinguish species is to look at whether or not they are able to mate and produce fertile offspring. That is to say they are reproductively isolated. So even though a lion and a tiger can mate and produce offspring, the resulting liger or tigon (yes, those are real animals) is sterile, so lions and tigers are different species. The same goes for mules (horse-donkey crosses). So that settles it, right? A liger (left) is a hybrid between a male lion and a female tiger. A tigon (right) comes from a female lion and a male tiger. Image sources: wikimedia commons. Of course not! When you start getting into the realm of hybrids (offspring of two different species), things get messy. African cichlids can produce fertile hybrids (many of them are popular in the aquarium trade). Coyotes and grey wolves have produced the red wolf. Then there’s the plant kingdom. Nearly all of the citrus fruits you buy at the store are hybrids from only four major species (key limes, mandarin oranges, pomelos, and citrons). Let us not forget the most numerous organisms on Earth: the single-celled prokaryotes. They don’t mate at all, so that distinction is completely useless for a microbiologist. Finally we have genetics. If DNA makes organisms what they are, then surely it can be used to tell them apart, right? Well here’s the tricky part. What do you actually use? You could compare the entire genome, but even members of the same species will have some differences. Not only that, but sequencing entire genomes is difficult and time consuming. Instead most researchers use a handful of genes that aren’t likely to change within one species, but may be different between species. This is, of course, not without its own issues. What genes do you use? Are you looking at a simple mutation? What if one gene is the same and another is very different? How many should you use? How do you compare them? At this point I’d like to clarify that I’m not saying that any one method is completely wrong or always right. Biologists actually use all of these techniques to determine if two organisms are the same species or not. Genetic techniques may be used to confirm a hypothesis based on a subtle morphological difference. Breeding experiments may refute the findings of a genetic analysis. Last but not least, there is the debate among peers and colleagues; you’ve got to convince other scientists that you’ve found a new species before you can officially declare it. I’ll leave you with one last thing to consider. Every species on Earth is constantly changing; what we see today is just a snapshot in time. Every species that exists today evolved from something that we would call a different species and every one that doesn’t go extinct will eventually evolve into one or more new species. There’s no way to mark exactly where one species ends and another begins. Collinson, J. M. 2007. Video analysis of the escape flight of Pileated Woodpecker Dryocopus pileatus: does the Ivory-billed Woodpecker Campephilus principalis persist in continental North America? BMC Biology 5:8. Fitzpatrick, J. W., M. Lammertink, M. D. Luneau, T. W. Gallagher, B. R. Harrison, G. M. Sparling, K. V. Rosenberg, R. W. Rohrbaugh, E. C. H. Swarthout, P. H. Wrege, S. B. Swarthout, M. S. Dantzker, R. A. Charif, T. R. Barksdale, J. V. Remsen, S. D. Simon, and D. Zollner. 2005. Ivory-billed Woodpecker (Campephilus principalis) Persists in Continental North America. Science 308:1460-1462.